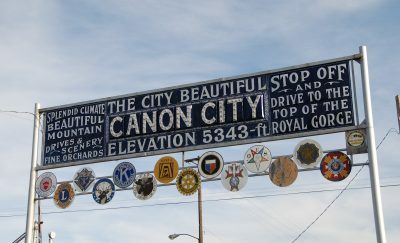 Go on a walking tour of historic Canon City. There are 81 buildings on the National Historic landmark list in just a few blocks. There are churches around almost every corner, most of which are built from local stone from quarries in the county. Check out the Owl Cigar Store for lunch. Go west on Royal Gorge Boulevard, turn left at Old Max (1st Street), and go a quarter of a mile up the hill to one of the first cemeteries in the region. Greenwood Pioneer Cemetery is a jewel, with art in sculpture, history in epithets, and original and unique areas such as the GAR (Grand Army of the Republic) Union section and the CSA (Confederate States of America ) Veterans of the South. Take a coal camp tour. Drive southeast to Florence on Highway 115, and on the way, turn off at Williamsburg/Rockvale/Coal Creek. These old coal camps are now quiet, but they hold some of the most interesting histories in the county. 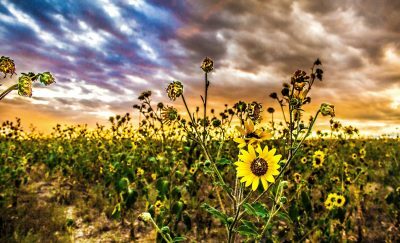 If you can tear yourself away from the wonderful antique alley (Main Street) of Florence, go to the Florence Pioneer Museum and see the history of King Coal and the oil fields that once dotted the landscape. Drive Phantom Canyon Road back to Cañon City. On the way, stop at Indian Springs campground and ask to hear about Phantom Canyon’s fossil beds and history. Breakfast at the hotel, hotel, B&B or wherever you parked your RV. 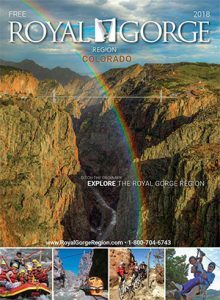 Take time to go outside and stretch in the beautiful weather the Royal Gorge Region is famous for. Drive to 1st Street, go south past Greenwood Cemetery and turn on Temple Canyon Road, the back road to the Royal Gorge. This road is gravel and not marked very well, but it will reward you with views and give a true look at the flora and fauna of the area. You can stop at the back entrance to the Royal Gorge or go on around to Parkdale, which is on Highway 50. Follow this east back to Cañon City, but on the way, turn off at Skyline Drive and take a few minutes to enjoy the spectacular view. Visit the Royal Gorge Dinosaur Experience for an up-close view of many dinosaur fossils. Grab lunch to go, and then head toward Garden Park and Red Canyon Park. Visit the Colorado Museum of Prisons. Take a loop tour through Silver Cliff, Westcliffe, and Western Fremont County, which takes you into the most beautiful scenery in the world. The road enters the Wet Mountain Valley east of Silver Cliff, and when you continue through town and into Westcliffe, you will be looking at the Sangre de Cristo Range. Take Highway 69 to Texas Creek to get back into Fremont County. Follow the Arkansas River to Parkdale and back into Cañon City. Again, there is a lot going on most nights. Pick up a Daily Record or check out our events calendar.